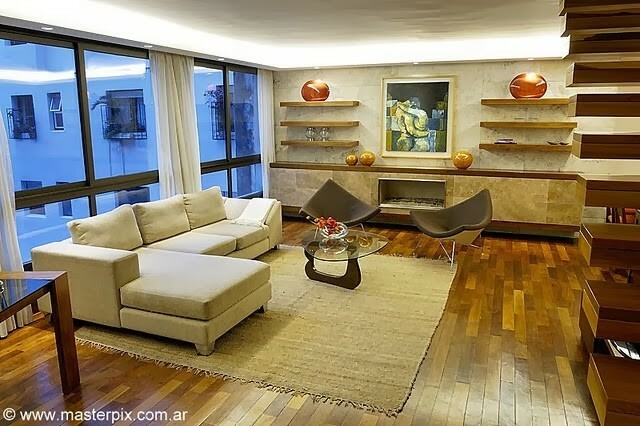 This stunning apartment is located in Recoleta , one of the best areas in the city. There are lots of restaurants, cafes, shopping and parks in the vicinity. This apartment are classy, elegant and spacious making up over 1,260 sq. feet (120 sq. meters). The apartment gets plenty of sunlight throughout the day due to its location on a higher floor. It has a clean and contemporary décor. No expenses were spared in renovating this five-star property. The apartment has its very own business area, with its own custom-designed desk, high-speed Internet access as well as Wi-Fi wireless internet, which is available throughout the apartment. Its kitchen is a chef’s delight and has been completely renovated with high- end materials including marble countertops. It is fitted with everything you would have at home. Great building. Elevators. Doorman 24hs . Small swimming pool. In Recoleta, close to Quintana St and the elegant Alvear Avenue.